We recommend regular check-ups so we can keep a close eye on the health of your teeth and gums. By spotting any dental issues early, we can address them before they get any worse, and avoid the need for more expensive and lengthy treatment. We will ask you whether you have had any problems since your last visit and enquire about your general health. As well as teaching dental care techniques, we will also offer dietary advice, particularly regarding sugar consumption. We may discuss your tobacco and alcohol use as these can have an adverse effect on the health of your teeth and gums. If you are a new patient, your dental examination may take a little longer as we will want to get to know you and your mouth. If we do detect any problems, we will discuss your options and devise a treatment plan that works for you. We can offer a full range of treatments to keep your teeth and gums in optimum condition. Regular examinations mean that your dentist can spot problems and correct them early before the treatment becomes complicated. 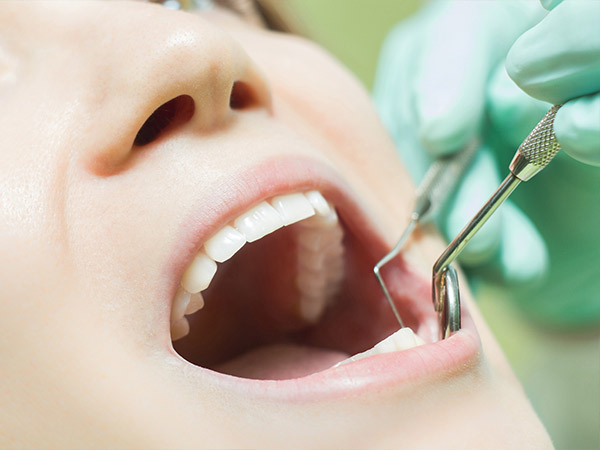 A thorough examination helps you and your dentist look after your mouth and prevent future problems. The dentist will explain the options and then you can decide together what will be best for you. Look at your teeth and gums to see whether they are healthy or there are signs of decay, damage or gum disease (for children, your dentist will also look at tooth and jaw development in case orthodontic treatment might be needed now or later). Compare your mouth now with how it was when you last saw you. Decide whether they need more information from x-rays or from plaster models showing how your teeth bite together.